A total of over 35,500 face-to-face interviews were conducted with citizens of all EU Member States. Findings show that the vast majority of EU citizens (86%) have heard of VET. However, only half (48%) of respondents whose education was primarily general said they received information about VET when making a decision about their upper secondary education. Two thirds of Europeans (68%) think that VET at upper secondary stage has a positive image in their country. Respondents in Malta (89%), Finland (84%), the Czech Republic (77%), the UK (75%) and Italy (75%) are most likely to say that vocational training has a positive image. 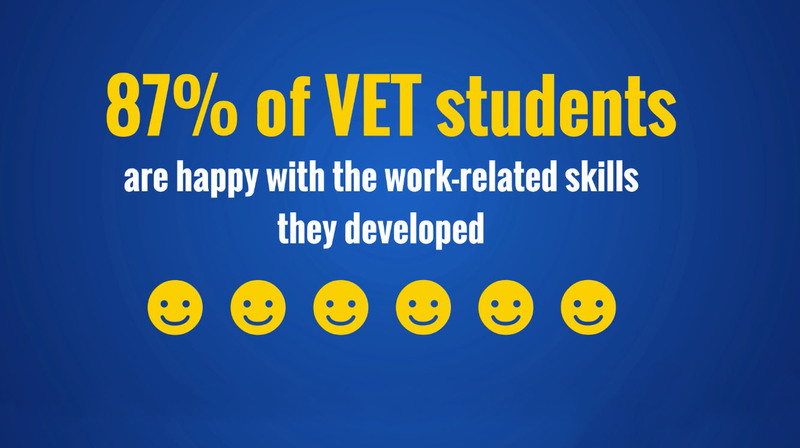 On a less positive note, three in four EU citizens (75%) agree that students with low grades are directed towards vocational education in their country, but 87% of VET students are happy with the work-related skills they developed and six in 10 said they found their first long-term job before or within a month of finishing their studies. Just over half of Europeans (54%) agree that it is easy to continue into higher education such as university after vocational education at upper secondary level. However, only 39% of respondents who had vocational education at upper secondary level report continuing to higher education. There is support for national governments prioritising investment in vocational education at upper secondary stage. Respondents are most likely to be in favour in Slovakia (76%), Slovenia (75%), Hungary (71%), Poland (70%), the Czech Republic (66%), Croatia (65%), Bulgaria (65%) and France (64%). Support for prioritising general education is highest in Ireland (43%), the UK (43%), Malta (36%), Germany (36%) and Austria (36%). EU citizens generally agree that VET plays an important role in society, specifically by strengthening their country’s economy (84% agree), reducing unemployment (80%) and tackling social exclusion (78%). For more information on the findings and specific insights into Member States, download the survey report. To arrange interviews, contact the Cedefop press office (details below).